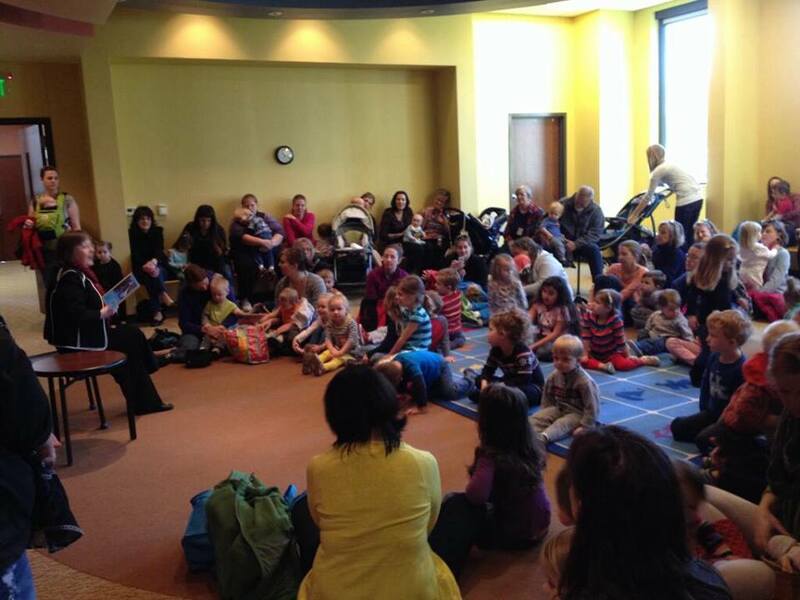 The Book Release Party was a drop in program for families. 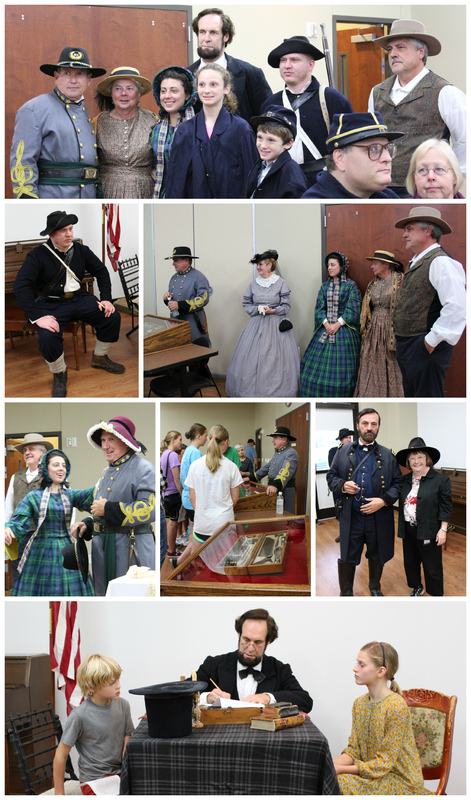 We had both soldiers and civilians, including ladies in beautiful hoop skirts, for the visitors to meet and greet. General Grant was also there, and President Abraham Lincoln (aka Dennis Boggs, who to me is the quintessential Lincoln, charming and personable) gave the Gettysburg Address. 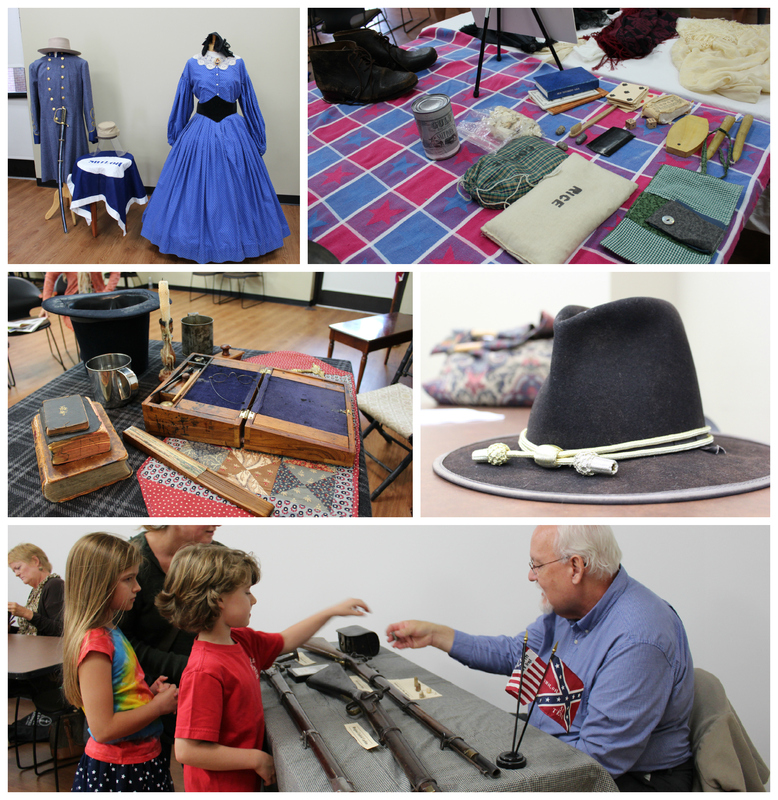 My husband, Lawrence, brought some of his collection of original Civil War artifacts, and the Tennessee State Museum loaned us a trunk of hands on CW clothing and equipment. It was delightful to see the kids dress up in the period clothing. On the Foundation’s Facebook page, you can see photos of the event, https://www.facebook.com/wmclf. I lost count, but there was about 100 patrons on Sunday. And it was just a great fun event overall! 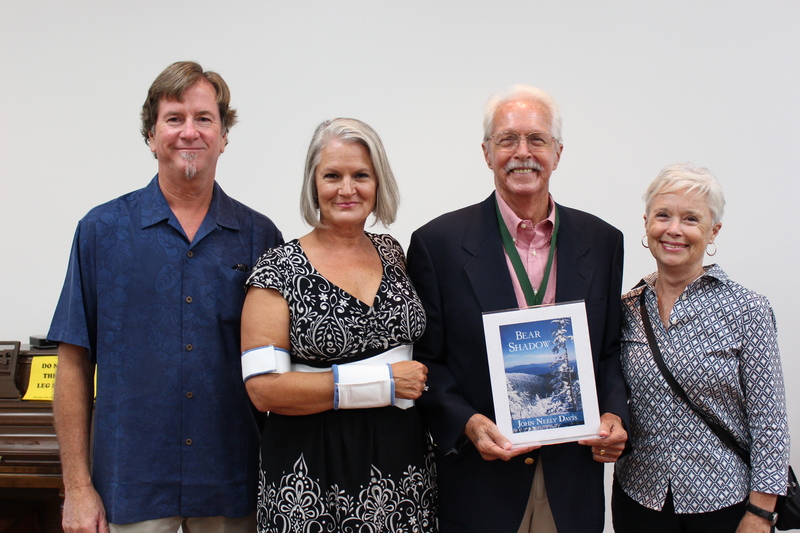 The Library’s Foundation’s ticketed event, An Evening with Storytellers, brought in over 60 library supporters, and the Foundation made over $1,000. 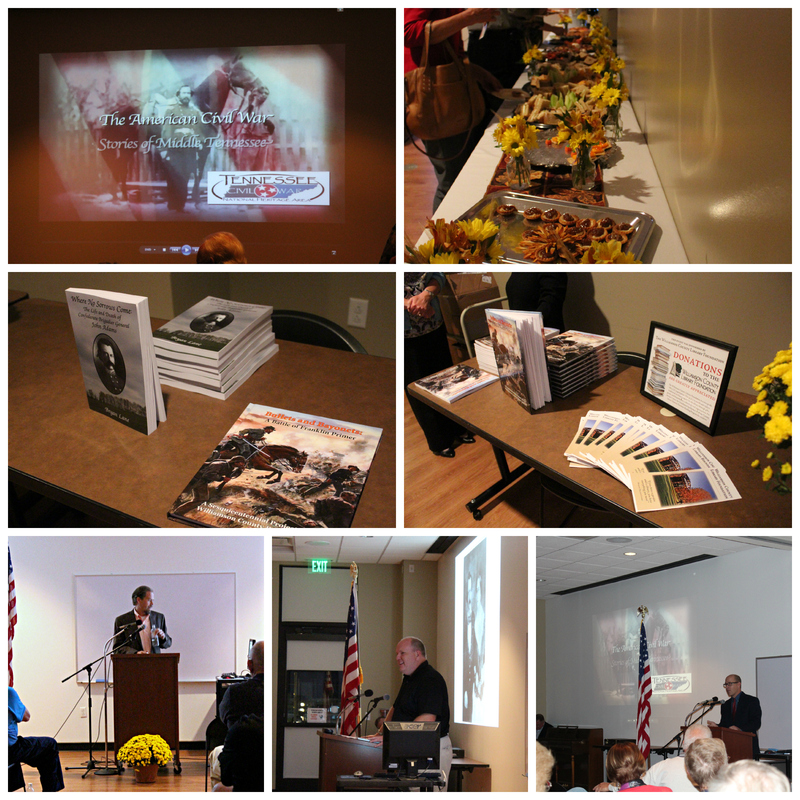 Speakers were Eric Jacobsen, CEO of Carter house and Carnton Plantation, Thomas Flagel, History Instruction at Columbia State CC, and Bryan Lane, who recently published a book on General Adams, on of the Generals killed at Franklin. One gentleman, who had purchased a book at this event evening, was also at the Book Release Party. He said he had read the book cover to cover, and it was “excellent”. A woman who was at the Storytellers evening was back on at the Book Release to buy another book! She said that she had company visiting from out of town. They were seeing the sites in Franklin, and used our book as a guide as they toured. Eric Jacobson (left), Bryan Lane (middle), and Thomas Flagel (right). 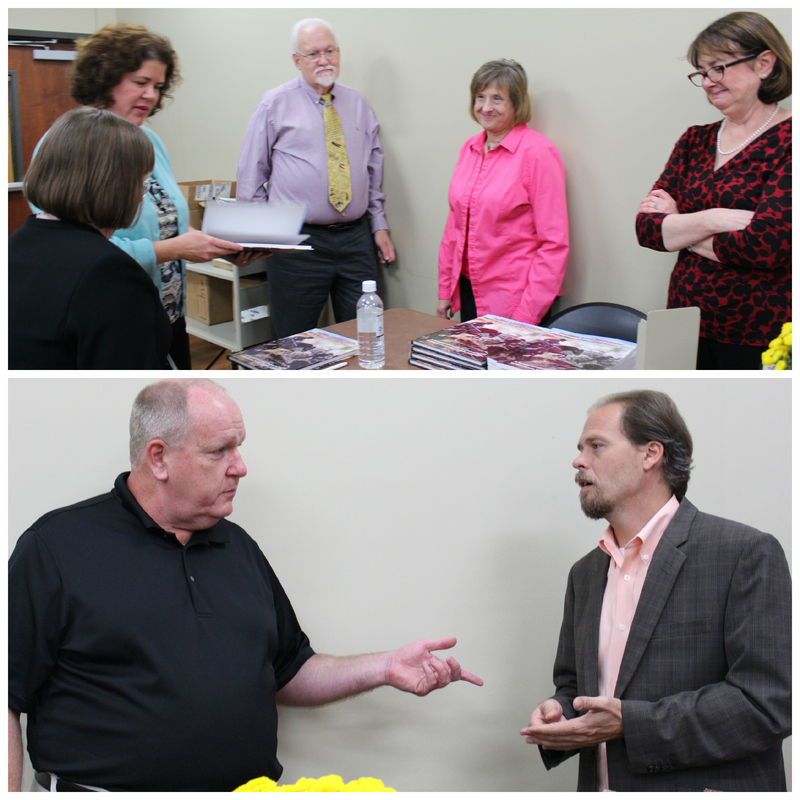 Two of the authors and one of the editors for Bullets and Bayonets had requests for book signings. Eric Jacobson and Bryan Lane discuss their books! 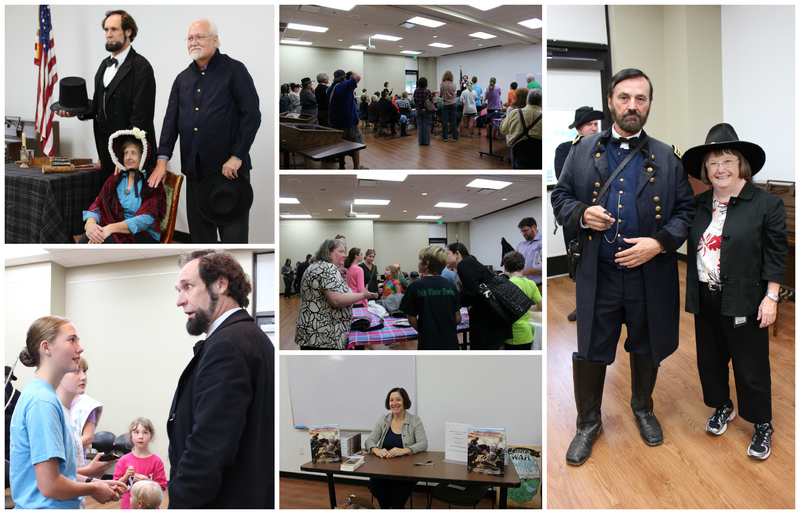 Academy Park Press, an imprint of Williamson County Public Library, is proud to announce the release of its second book Bullets and Bayonets: A Battle of Franklin Primer, which is a sesquicentennial project of the Battle of Franklin especially for youth. 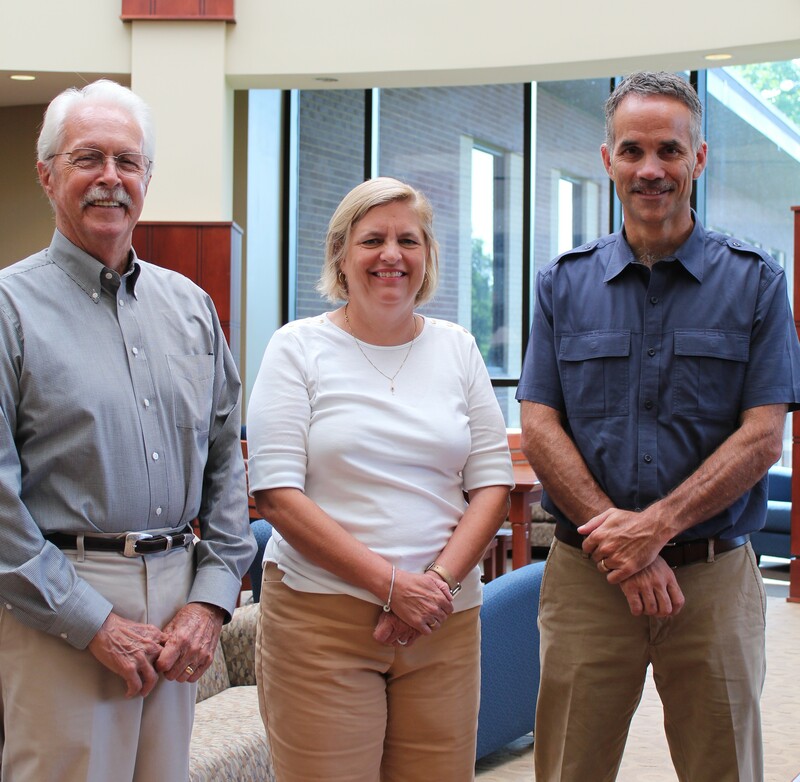 The project was a collaborative creation by library staff, with text written and compiled by Leesa Harmon and Julie Duke, and by historian Lawrence C. Duke. November 30, 2014, marks the 150th Anniversary of the Battle of Franklin. The battle, dubbed the ‘Gettysburg of the West’, lasted only five hours, but more soldiers were killed in that time than during any other battle of the Civil War. Six Confederate generals were killed, and the entire town of Franklin became a hospital for the wounded. “Bullets and Bayonets” tells the story of the Battle of Franklin in the words of the participants. Soldiers and citizens bear witness to what they observed, experienced and felt about a battle that forever changed the lives of all who were there. On Sunday, October 12, 2014 from 2 to 4 pm, the Library is celebrating the release of the book and copies will be available for purchase. 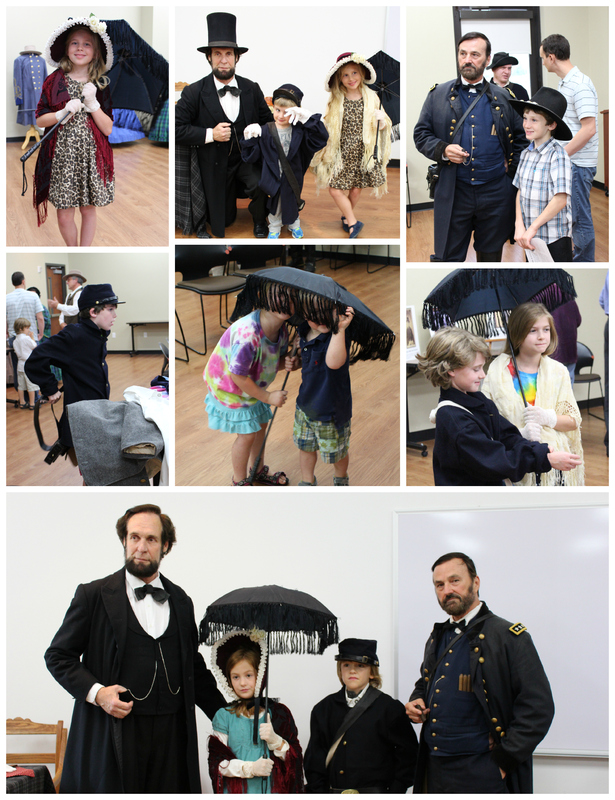 Including in the “drop-in” program is President Abraham Lincoln who will give the Gettysburg Address at 2:30 pm. Local Civil War re-enactors, including General Ulysses S. Grant, will be in period dress, and Civil War artifacts will be on display, including a “hands on” traveling trunk from the Tennessee State Museum. Your signed copies will make wonderful holiday gifts! Bring the whole family to this free special event. 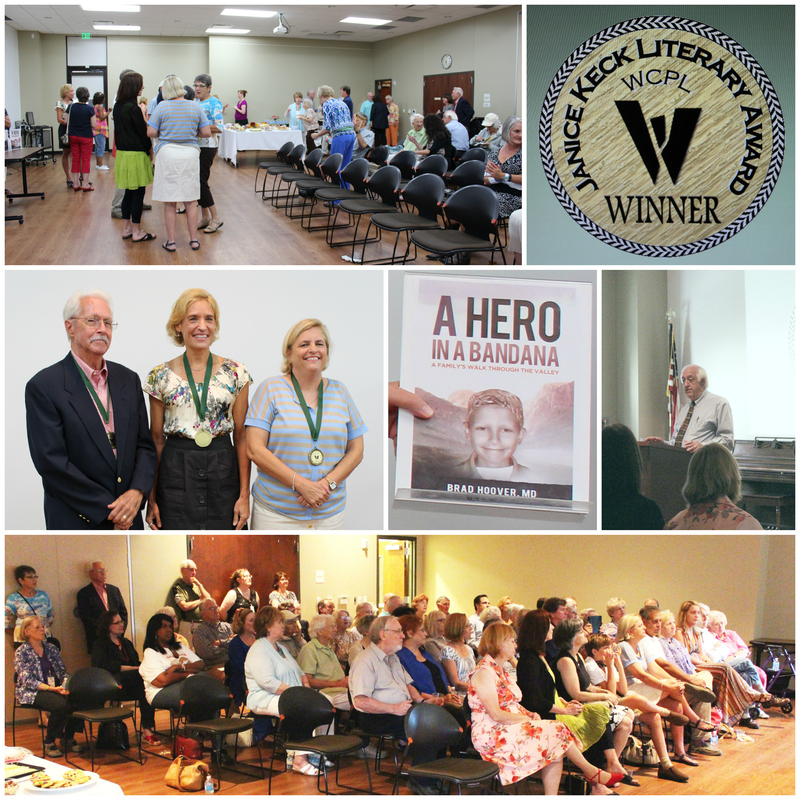 The Williamson County Public Library held the Janice Keck Literary Awards Ceremony in August with Bill Peach acting as the emcee. 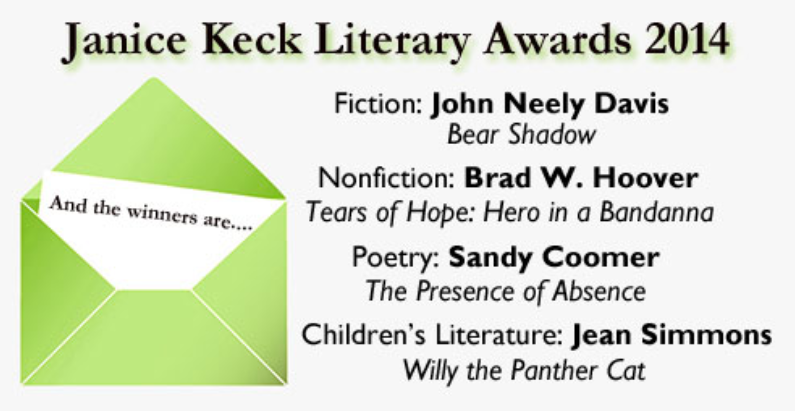 The winners received their own Janice Keck Literary Award Medallions with family and friends, and many of the local community watching (unfortunately, Brad W. Hoover, the nonfiction winner for “Tears of Hope: Hero in a Bandanna”). We are pleased to reveal the cover of Academy Park Press’s next book. 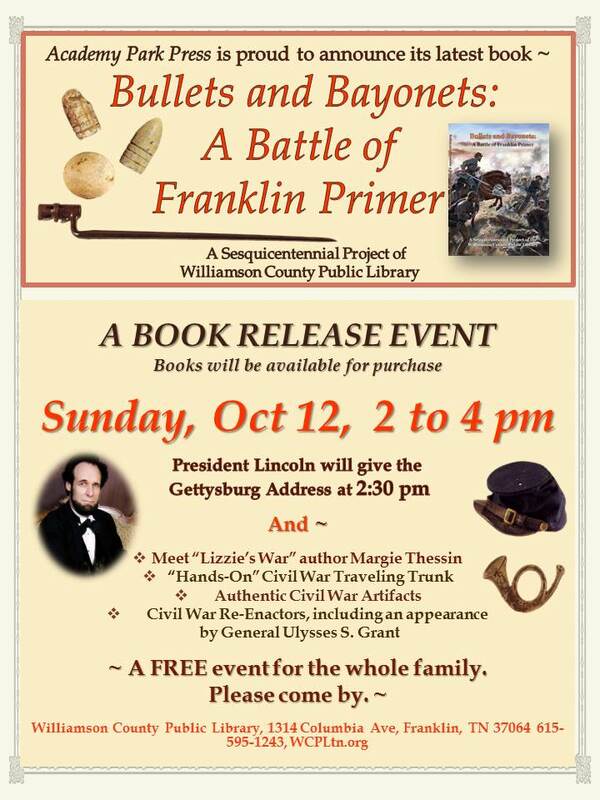 It is a primer on the Battle of Franklin that we believe will assist 4th and 5th graders in learning about it. We are especially excited about this book because, not only will it be published by the library’s imprint, but it is also created completely by library employees! 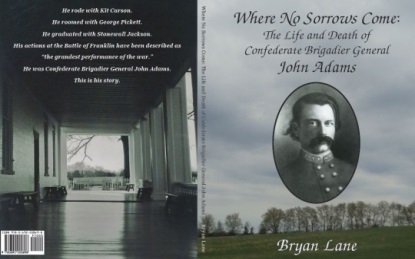 We are pleased to share the cover of a new book: Where No Sorrows Come: The Life and Death of Confederate Brigadier General John Adams, by Bryan Lane. 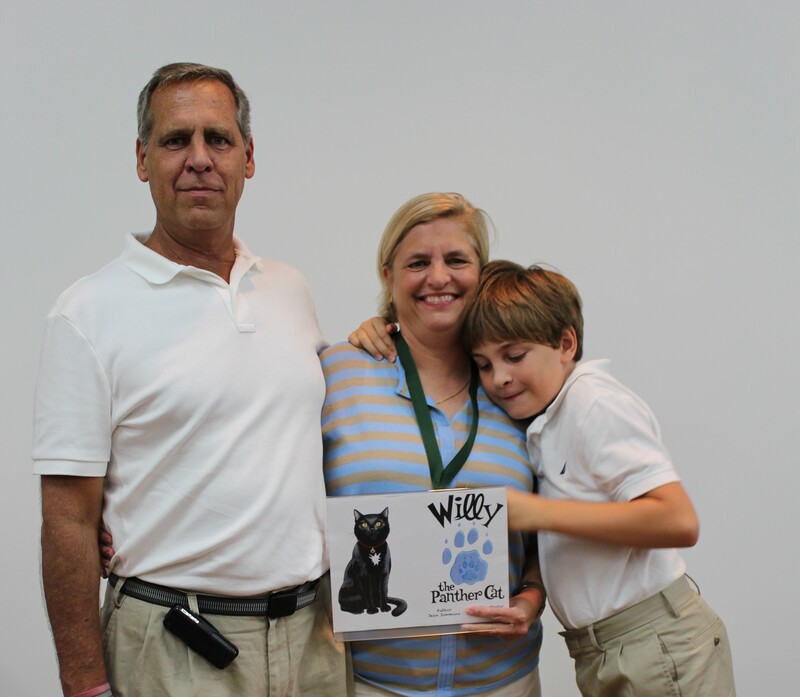 Bryan Lane is a local Williamson County resident and part-time Battle of Franklin aficionado. He has worked for 20 years on a biography on John Adams. Adams was a confederate general in the battle. We are pleased to be assisting Mr. Lane in getting his book published to put in the hands of readers. This project is in the final stages and will be sent to Ingram in July. Bucky & Bonnie Do WCPLtn !!! 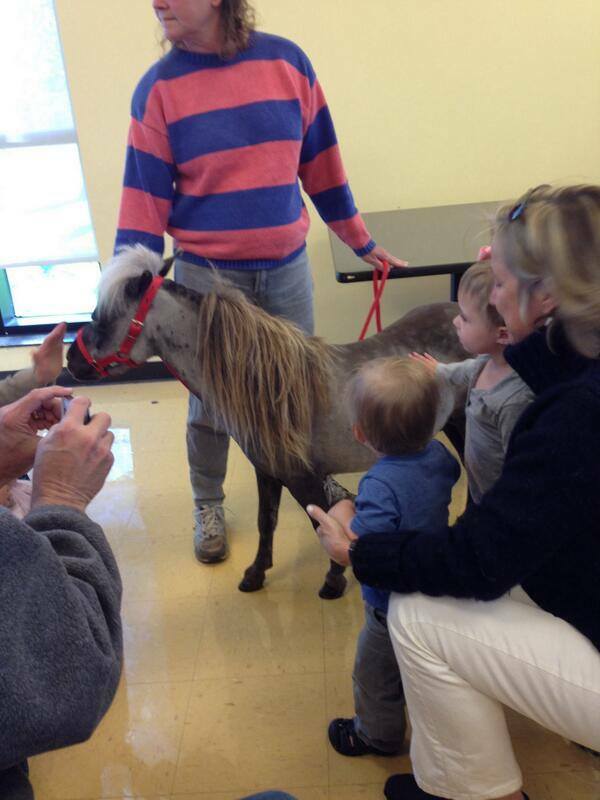 Our littlest readers were in for a treat this past Wednesday, when our two favorite (and published) miniature horses, Bucky & Bonnie came to a special storytime! 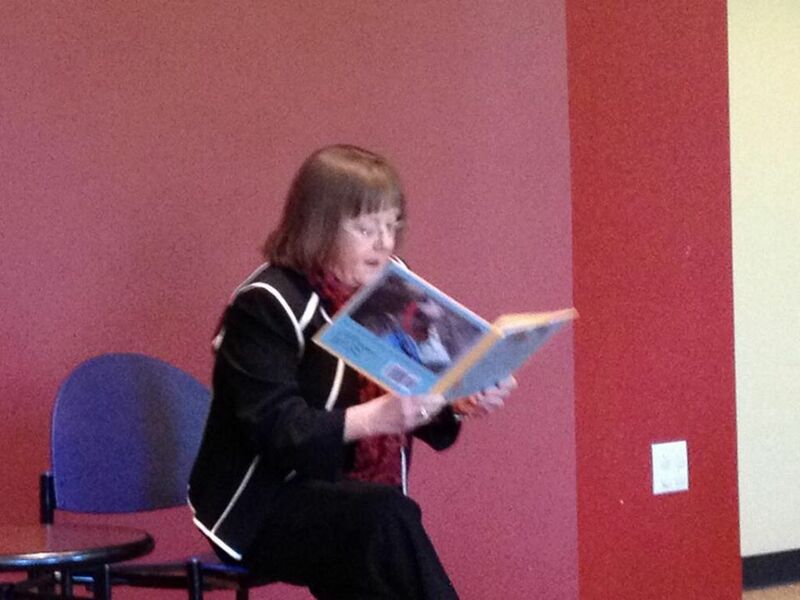 Our director, Dolores Greenwald, read the book Bucky & Bonnie’s Library Adventure and the mini horses joined us after the reading! They offered hoof print autographed copies to patrons, and our Friends group sold copies of the book to our die hard fans! 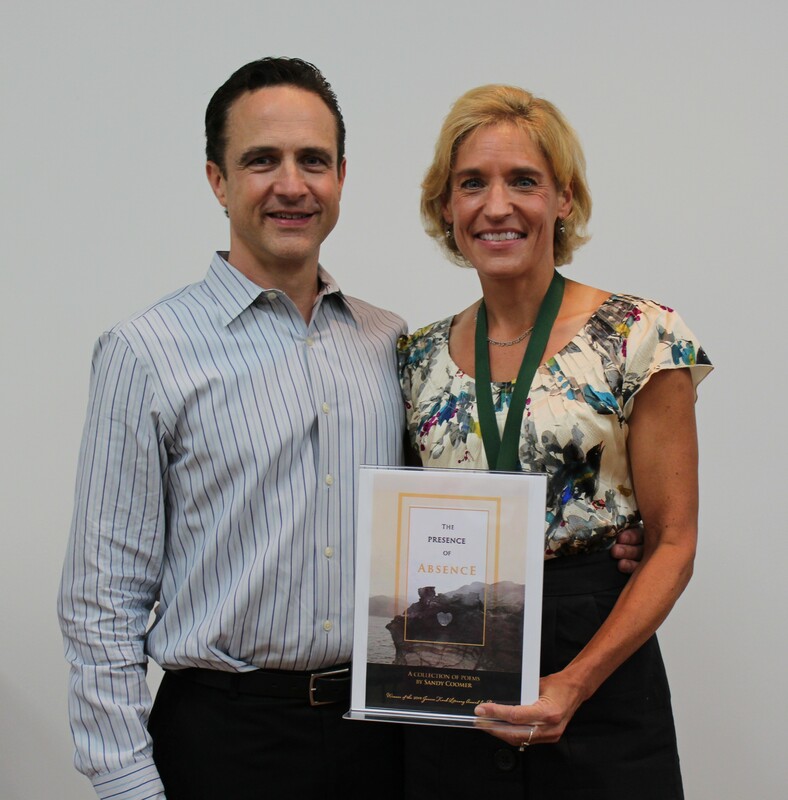 If you missed this awesome event, log in to your Facebook account and click here to view our photo album! And if you’re on twitter, you can click here to view our stream of live tweets of the event!